You’ve identified your top potential employers, updated your resume, and written a bomb cover letter. But the legwork is not quite over. It’s time to get social. We’re delving in to our top tips to make sure your social media presence is as employer-ready as your CV is. Let’s get to it. 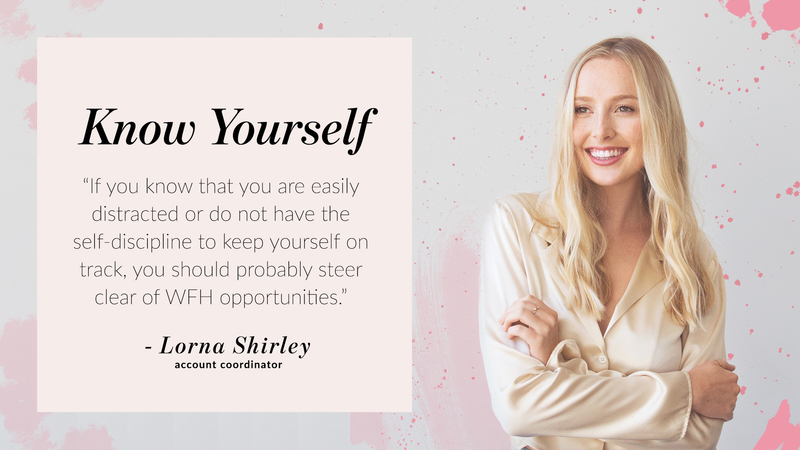 As much as we want to project an authentic version of ourselves on social, there are some grey areas to keep in mind as to what’s considered hireable. When it comes to alcohol related content, ask yourself, “is this cute?” and “is it necessary?” Don’t freak. Cute pics from your girl gang’s wine tasting are probably safe. The late-night pics are the ones that need the boot. Treat your social like your SO’s parents are looking at it. Anything you have to justify with context either needs to be reposted to a Finsta account, archived, or deleted. 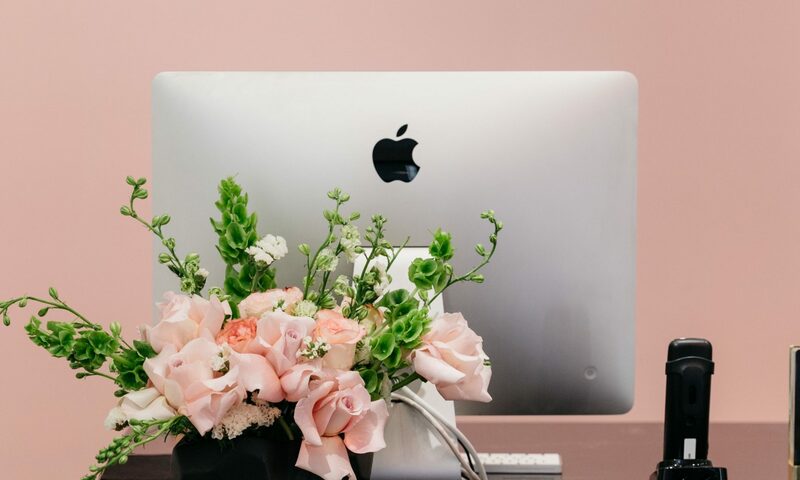 If you’re applying to a creative role where your personal brand/aesthetic is distinctly different than the brand’s, consider steering your aesthetic in a more on-brand direction either temporarily or permanently. Your feed is a great way to show your potential employers what you can do, and they will be looking. Check out Later’s tips on Optimizing Your Instagram Portfolio. If your potential employer is conservative and your ability to curate a digital presence is pretty irrelevant, consider going private, at least during the hiring process. Update your profile picture to something more professional. This does not need to be a professional headshot, but your appearance should demonstrate your personality and encourage your potential future co-workers to want to get to know you. Make sure your bio is short, sweet, and casual-but-goal-oriented. This does not need to be a mission statement, we want you to keep it simple. This portion is going to take the longest because it is hands-down the most important platform to focus on. Your LinkedIn is the first thing a recruiter looks at when considering you as a candidate, so it should be given just as much attention as your resume. Let’s start at the top. Your LinkedIn profile pic needs to be the most recent professional photo taken of you. Sure, you can use an iPhone if you really have to, but please put on a work-casual top and turn on Portrait Mode. Yes, really. It doesn’t have to be elaborate, but it shouldn’t be a low-res screenshot of some flowers, either. Keep in mind what colors are featured in your profile photo, and then create a graphic from there. Not skilled in Photoshop? Use a easy graphics creator like Canva to get yourself sorted. Summary: Well-rounded creative in the Publicity, Social Media & Marketing, and Content Creation realms. Able to wear multiple hats & manage many different types of tasks. Extensive Social Media Experience with Something Social, working with over 65 brands & clients in the lifestyle space. Make sure this reflects the career shift that you’re looking to make, not necessarily the position you hold now. Upload any key pieces here. First and foremost, your resume and then follow that up with any high-quality work sample you want recruiters to focus on. This includes portfolio PDFs, a video reel, you name it. We suggest you use this space to give employers a generalized taste of the work you’re capable of creating. More specific project samples are going to come later. Each entry should include your title, company, and the dates you were employed, but the most important part is something way too many applicants skip over. The power of your LinkedIn profile lies in the description and the attachments you include for each entry. Descriptions are tough to write, but you’re in luck because there are people who literally get paid to write these for you. Open a word doc and copy the bullet points that apply to your current and past responsibilities. Slightly re-write them, then throw them into your entries. Your most recent three positions should have at least three bullet points, the older ones should have at least two. Make sure your sentences begin with active verbs (managed/activated/analyzed/collaborated). For past positions, use past-tense, for current positions, use present-tense. You know that part underneath each LinkedIn job entry where you can upload files or attach links? It’s an opportunity to create a super clickable digital portfolio for recruiters to quickly peruse. The easier you make a recruiter’s job, the quicker that shiny new job offer will land in your inbox. Our Brand Communications Manager, Kaeleigh, previously worked in the film industry and as a result, her profile is a great example of how to use this feature. Check her out here. This is not a college application and as a result it is not the time to lie about all the “volunteering” you’re doing. If you’re not actively volunteering, that’s not going to negatively impact your ability to land a job, but lying will. If you do have experience, however, go nuts! Employers want to know what’s important to their prospective hires, so this is a nice way to present the full picture of who you are, especially if you’re a recent grad or are light on the work experience. Start this section by making sure everything that’s listed on your resume is listed here. Delete any duplicates because you will get capped with the number of skills you can have listed. (For example, you don’t need “Photoshop” and “Adobe Photoshop.”) Then do a little research. Once you’re done filling up your skills sections with all your amazing talents, get some of your friends to endorse the heck out of you and be sure to do the same for them. This one is pretty easy but might require some following up. Reach out email via to people who would give you a glowing recommendation. Not just past bosses, but coworkers, colleagues, professors, etc. Once they agree to write you a recommendation, send them the request through LinkedIn and wait for the ego-boosting to begin! Did we miss something? Keep us in the loop on your job hunt. We wanna know where you end up! Tweet us @somethingsocial or tag us on Instagram- @somethingsocial and let us know what’s up. Fresh on The Row is Fairfax veteran, Paramount Coffee Project. 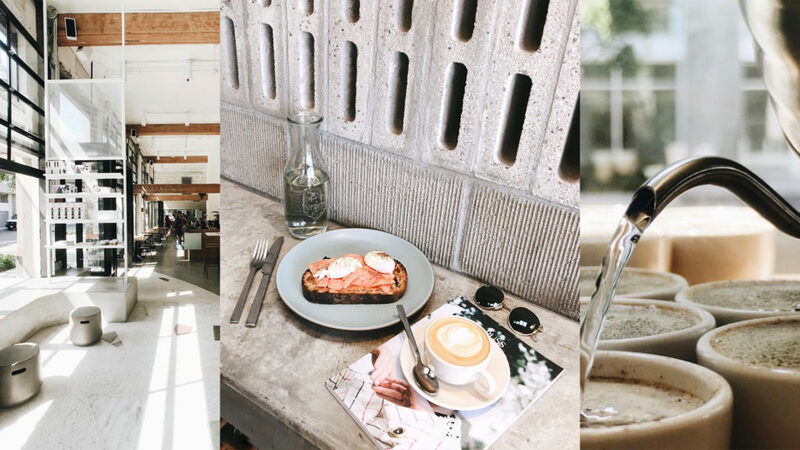 Aussie morning spaces are springing up all over Eastside LA, like Roo and Pollen in Silver Lake, but Paramount’s coffee is a cup above the rest of the Down Under drip. 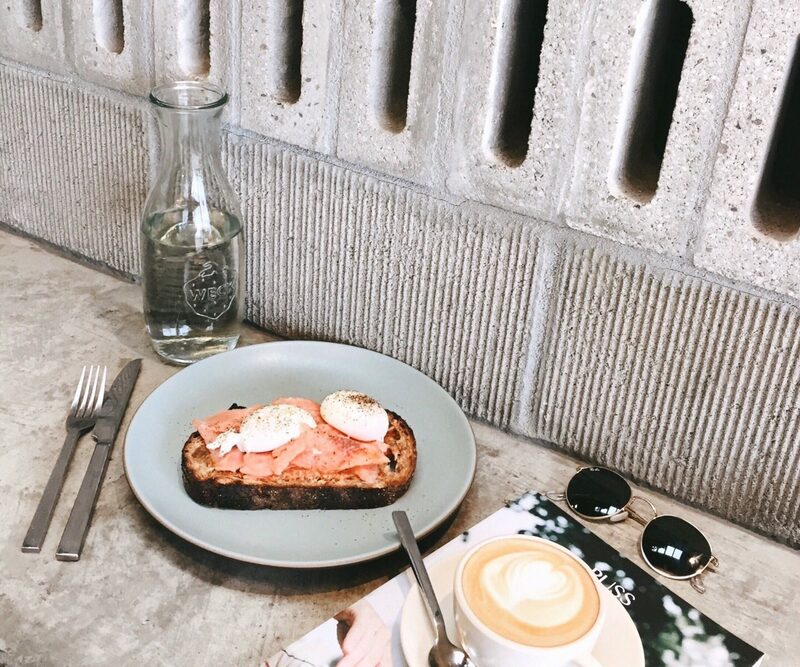 Ria Dolly Barbosa of Go Get Em Tiger and Forage leads the kitchen in serving up towering seasonal tartines and savory sandwiches infused with salty, innovative Filipina roots. 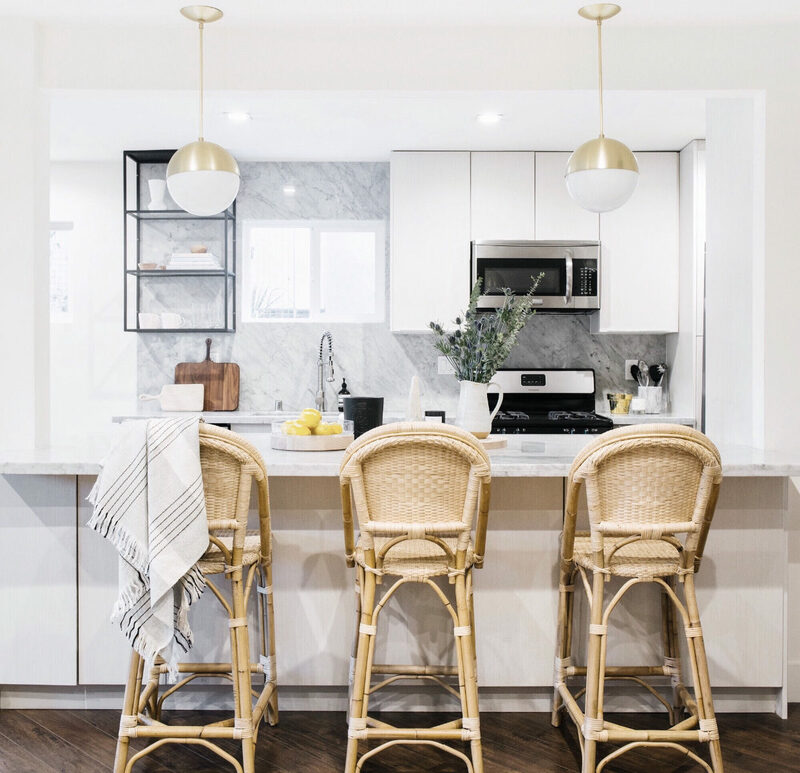 The space is industrial moderne with bright light and airy entries. Join the baristas for weekly cuppings of Sightglass beans. Plopped inside a wine bar in downtown is your new place for pasta. Incredibly unassuming, a single chef works a set of hot plates behind the bar. But stick with us, this is far from dorm-room gormand, though the decor will have you reminiscing on your collegiate coffee shop. You have three pastas to choose from, depending on what the chef feels like making, but one of them is usually the house beet spaghetti. 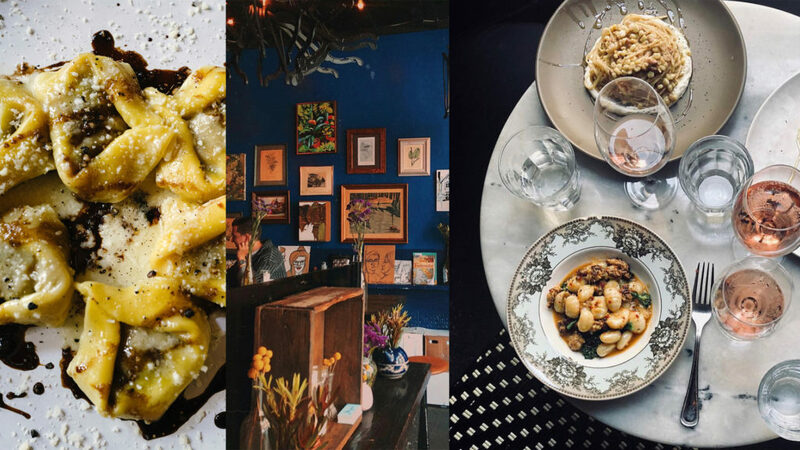 In a town where lunch is a meal diluted to eating in your car, or stacking lunch meetings, Cento brings back the European sentiment that the second meal is one to be savored slowly while sipping something out of a wine glass. You do not come here to be seen, you come to eat, but we promise the pasta is pretty enough to eat (and take photos of). Cafe Birdie is an unassuming spot in a previously unassuming area of town. From the outside, you might hardly notice it waiting for your lane at Highland Park Bowl, but step inside and your experience will be anything but subtle. The interior is a pretty cafe space, flooded with light and olive accents. 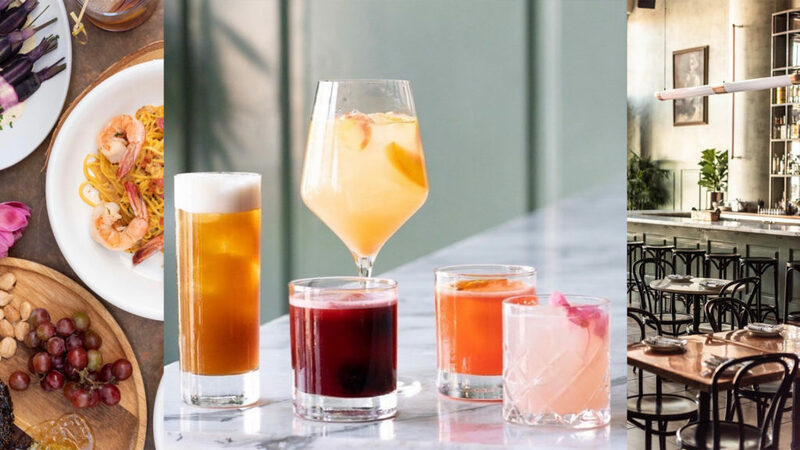 Along the marble bar you’ll spot a gradient of beautiful drinks ready to ‘grammed. The café is open for dinner and brunch exclusively but Birdie is worth the wait. Each menu is densely packed with succulent offerings such as the Hamachi Crudo with Melon Aguachile or the Pork Cheek Ragu Papardelle. This one is all about eating what you know you shouldn’t and getting your hands dirty to do it. According to Instagram, summer is over and so are our futile attempts to diet. 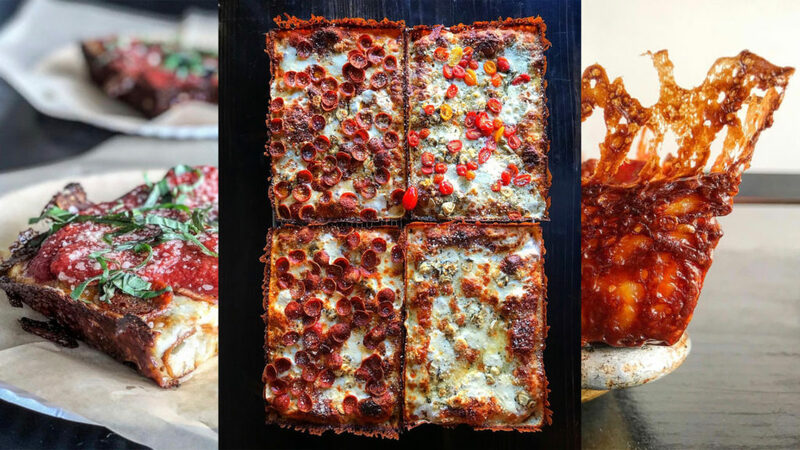 At Apollonia’s you’ll dive face first into the deep dish and fling reservations to the wind for these wings. Crusty, cheesy crusts, and organic, top-of-the-line ingredients come first at this pizzeria. This is not a new spot -the long list of awards and press features prove this- but it is a locale worth mentioning. Just look at that crust. And in case you’re attempting to keep your carbo-loading in order, they’ve got the gluten-free goods. 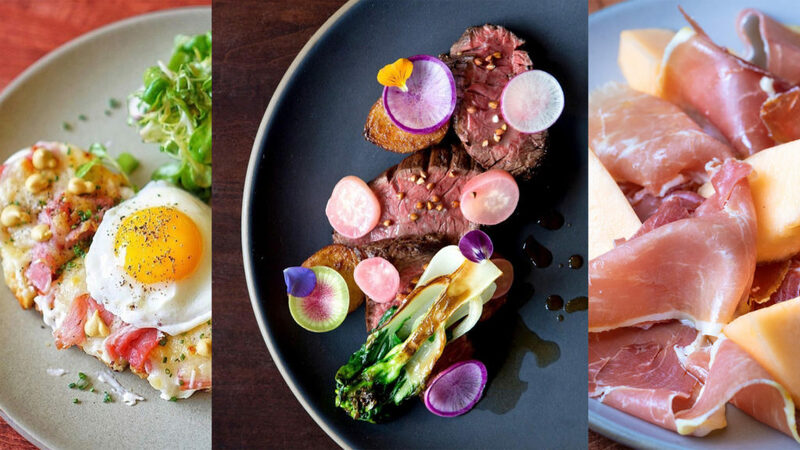 Papilles is the peak of prix fixe prettiness, but it won’t cost you an arm and a leg. You’ve probably driven by a dozen times while visiting your famous friend in Franklin Village, but we’re betting you’ve never stopped in. This one is a sleeper, but it’s a perfect spot for a delicious and discrete date night over some zero-fluff, high-quality French food. Though their menu changes often, you’ll see a rotation of flaky, fried oysters, perfectly crisped frites, and juicy duck a la’orange. Though you’re sure to feel fancy aligning your French Girl style with actual French food, the barrier to entry on this unassuming strip-mall place is low. The prix fixe starts at $30. Know a social spot you wanna clue us in on? Tweet us @somethingsocial or tag us on Instagram- @somethingsocial. Though some accounts, like @celebface, work to demystify the photoshopped bodies we scroll past, the weight of society’s standards still takes a toll in a very serious way, and oftentimes take the shape of eating disorders. These conditions are caused by a toxic mixture of over-fixation of bodily perfection and the rigorous restriction of an individual’s essential nutritional needs. These disorders are curable, but they’re incredibly serious and can be exacerbated by the highlight-reel of social media. This is a cultural issue that we need to work together to solve, but the truth of the situation can often get swept under the rug. 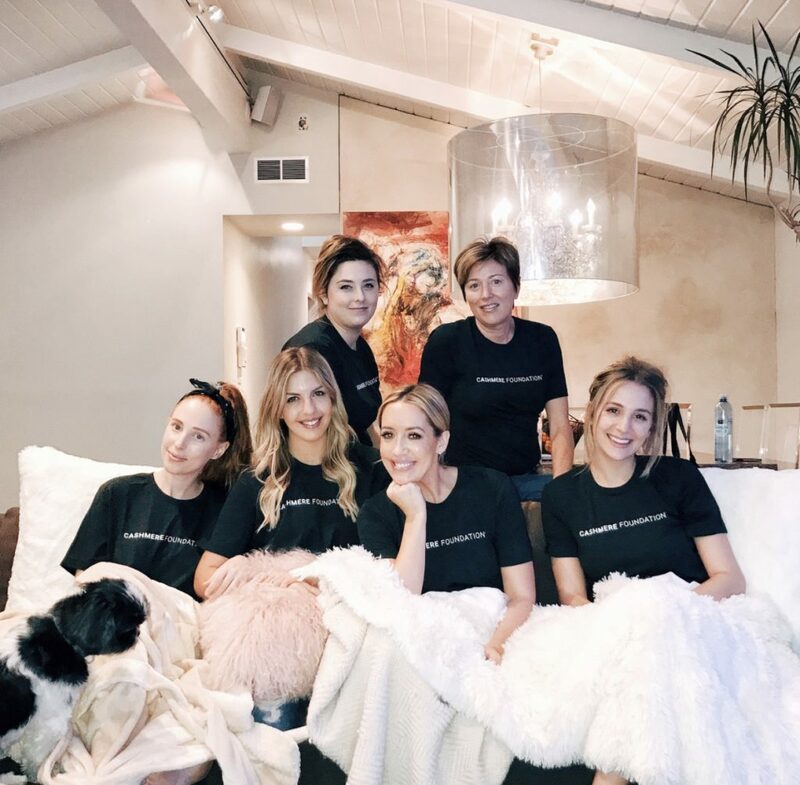 The Cashmere Foundation works to comfort those battling eating disorders by encompassing them in a safe space, using the healing power of self-care. “Cashmere is a feeling. Its being wrapped in warmth, comfort… luxury,” says Happ. Happ emphasizes comforting patients as she was once in recovery herself. “I created Cashmere from personal experience. I had struggled my whole life with an eating disorder. … It was a constant feeling of being cold and scared. When you’re so physically sick and mentally exhausted, the healing process just doesn’t even sound possible. I’ll never forget what shifted my entire way of thinking. I was 17 years old during one of my extended hospital stays. My family would always bring me little care packages; warm sweaters to snuggle in, scarves for when it was cold, and soothing lotions. I felt really comforted. 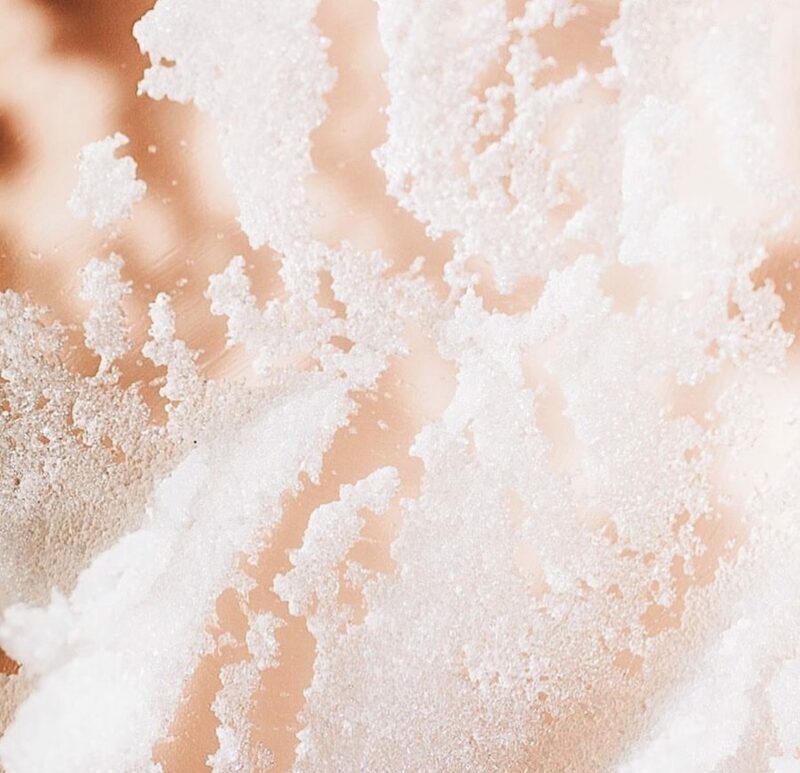 Cashmere’s mobile spas visit patients and our certified therapists offer a signature menu of massage, aromatherapy, meditation and soothing virtual reality. Touching on every step of the patient’s journey, Cashmere educates and nurtures its patients from check-in to post-treatment. Their mission is to treat each patient on the individual level, providing a personal and intimate connection during an incredibly vulnerable time. The foundation partners with hospitals and care centers bringing spa carts stocked with all-natural essential oils, lotions, warm towels, and infused spa water to their patients. Licensed massage therapists visit patients in chemotherapy infusion centers and during extended hospital stays. Services are provided 100% free of charge to patients and are made possible by the generous support of hospital and foundation grants, individual donors, and corporate sponsors. 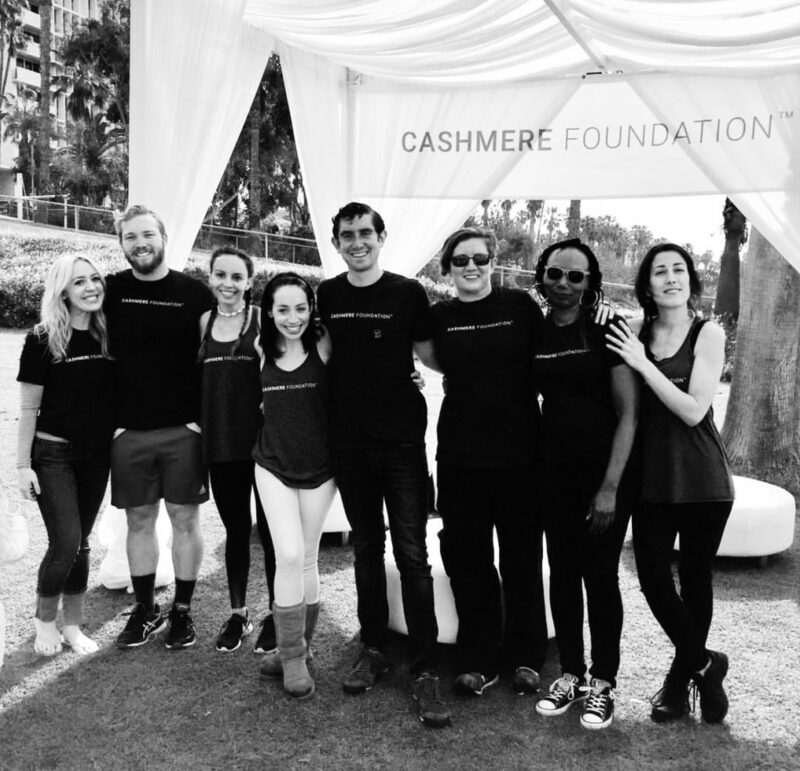 Cashmere Foundation is hiring massage therapists, spa facilitators, and volunteers. Apply here. If you are currently struggling with an eating disorder, know you are loved and valued. You can reach the NEDA Helpline at (800) 931-2237. Are you part of #SomethingSignificant that you think we should know about? Tweet us @somethingsocial or tag us on Instagram- @somethingsocial. Just scored a job working remotely? Considering fully embracing the freelancer fad? Or is your company rolling-out the occasional work-from-home benefit? Adapting yourself to the work-from-home lifestyle can be tough, but it’s possible. A recent report shows that the work-from-wherever trend has increased by 115 percent worldwide from 2005 to 2015, but there’s an art to the craft of working from your couch. As social media marketers, our industry is designed for the mobile experience, so our work is easily translatable to the working-from-a-Bali-bungalow life. (We don’t, for the record, live in Bali.) We’re using our expertise to break down the do’s and dont’s of the home office and how to unplug once the work day’s done. “I prefer to work on my own schedule. 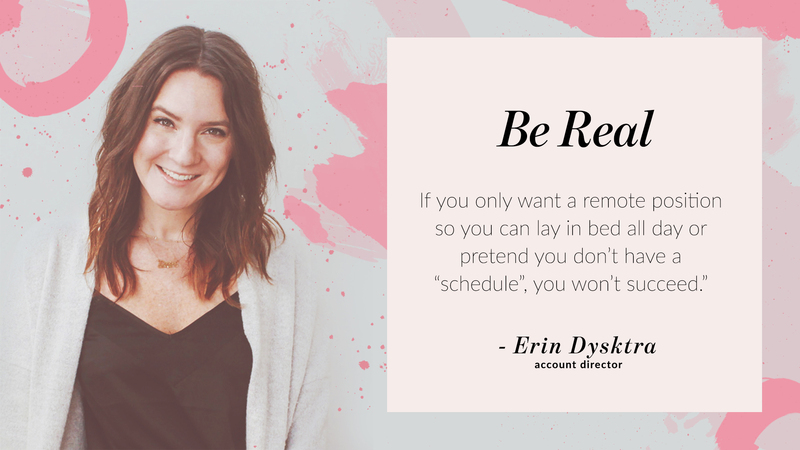 Sometimes that means a strict schedule with a to-do list and other times it means laying in bed and working after dinner. I consider it a successful day when I go to sleep knowing that I’ve set myself up for success tomorrow. “When working from home, I start my day early and sit on the couch, and usually stay in the same spot most of the day. It’s just nice to have your own space and feel comfortable. It’s usually straight from the bed to the couch. I get into comfy clothes and wash my face so I feel refreshed. My breaks are usually centered around food, so I’ll either take a break to grab lunch, or go around the corner for a coffee. It’s just 15 minutes to get my body moving and do something that helps me finish the day strong. 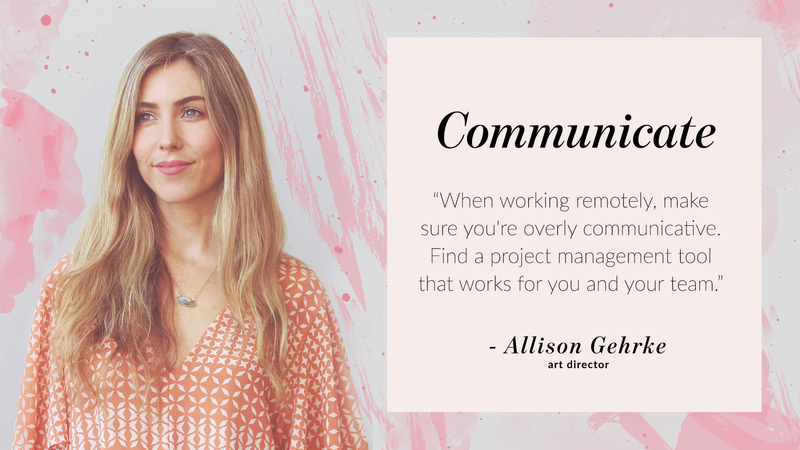 “I love having systems (such as Asana) and figuring out systems for communication, but I also like having the comfort of working in my own home, and not wasting time getting ready or commuting. Since I don’t have to worry about getting ready and commute time, I like to enjoy a cup of coffee and sometimes read or write before I start my work. When I start feeling cabin-fevery I’ll step outside and I like to walk to get lunch. Try switching it up and working from a cafe if you crave human interaction. 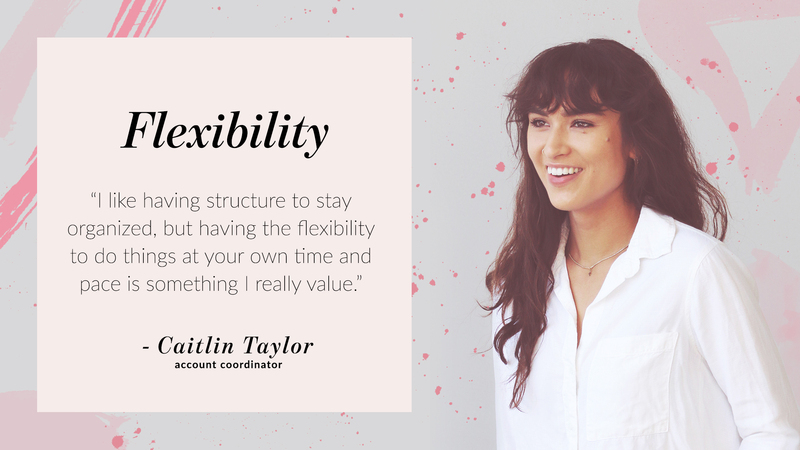 “I prefer a structured work schedule because I think it gives you boundaries. It is very easy to lose work-life balance when you have a looser work schedule. A structured schedule allows me to clearly designate time for myself. Do you prefer structure or a looser work schedule? Is your work easily communicable via calls and emails? What does your ideal workspace look like? Do you work better in a communal or solo setting? Do you have access to a workspace that’s free from distractions? How could you benefit from working from home? Slack – Communication Tool, Blends with Asana perfectly! Harvest – Time Tracking App, lots of plugins to make tracking seamless! Recently joined the work-from-home workforce and have some tips to share? Tweet us @somethingsocial or hit us on the ‘gram – @somethingsocial.